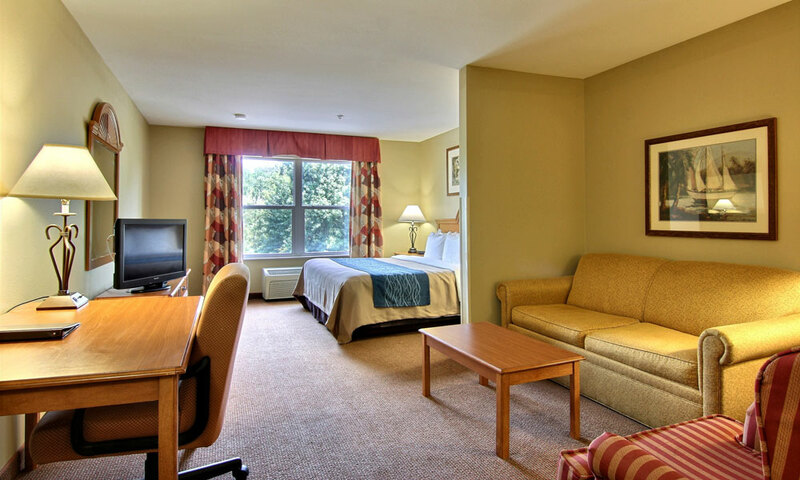 The Comfort Inn & Suites is conveniently located off I-95 near the St. Augustine outlets, just a few minutes drive from the downtown historic district. Close to I-95 and the outlets. 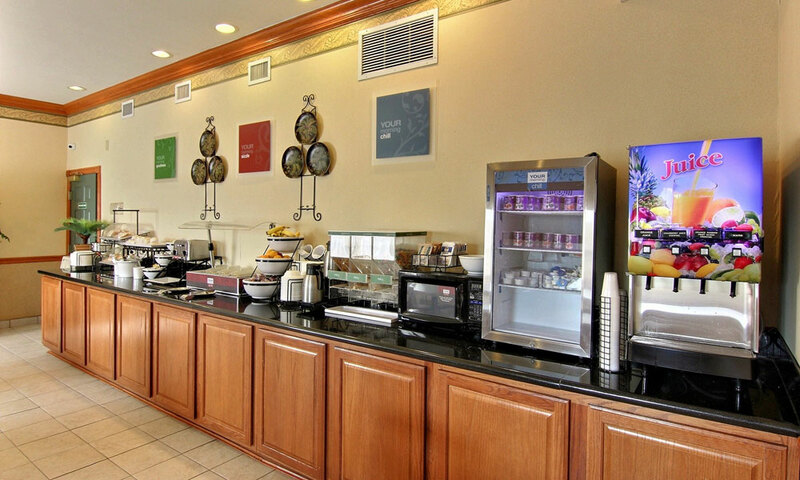 Comfort Inn and Suites of St. Augustine is part of the Choice Hotels International Chain. It is convenient to the outlet malls and just a short drive away from historic downtown, and the beautiful Florida beaches. Guests at this St. Augustine hotel can enjoy a full range of amenities, including complimentary breakfast with hot waffles, free wireless high-speed Internet, and free weekday newspaper. 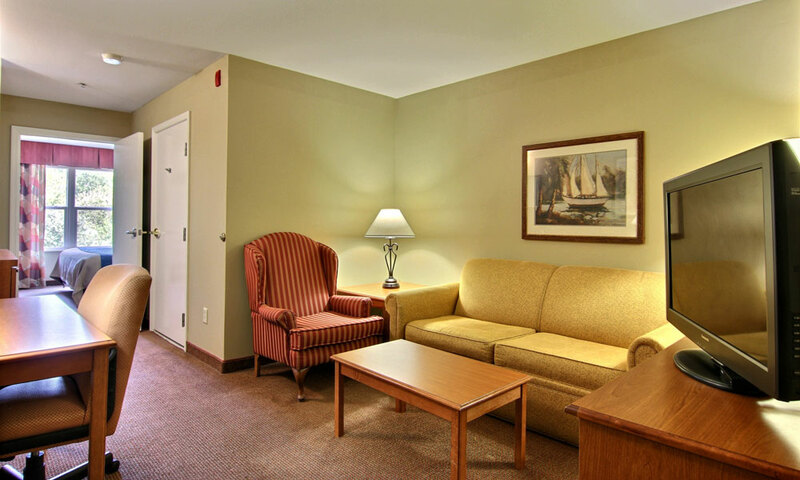 Rooms with sofa sleepers, microwaves and refrigerators are available, as are non-smoking and connecting rooms. Located just off I-95 at exit 318, the Comfort Inn & Suites is only minutes away from local St. Augustine attractions, historical sites, restaurants, and shopping. Work desks, coffee makers, irons, ironing boards, hair dryers, pillow-top mattresses, in-room safes and cable television. Coin-operated laundry facilities, free parking that can accommodate most cars, trucks or buses. AAA Approved. We had a very good stay at this hotel with our family. Room was clean, we like this new carpet. Breakfast was good with lot of items. 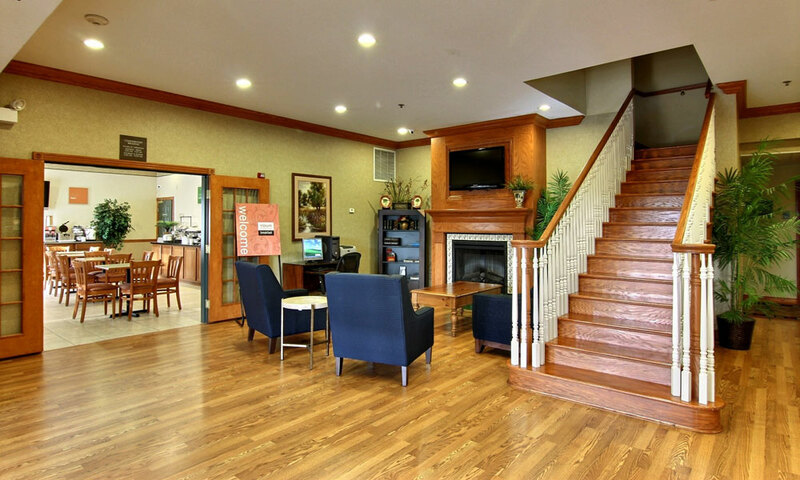 Employees were very helpful to make our stay very enjoyable.